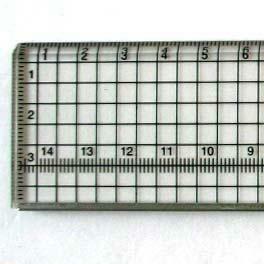 Precision clear plastic metric rulers. Marked in centimetres. One edge has stainless steel strip for cutting. Available in 30cm or 60cm. Please note: Ruler is only marked in cm measurements, not inches.